Blotch and Thrum: Spoonflower samples have landed! Okay, so, making fabric with Spoonflower is something I've meant to do for a long time. A number of days ago, I finally did. 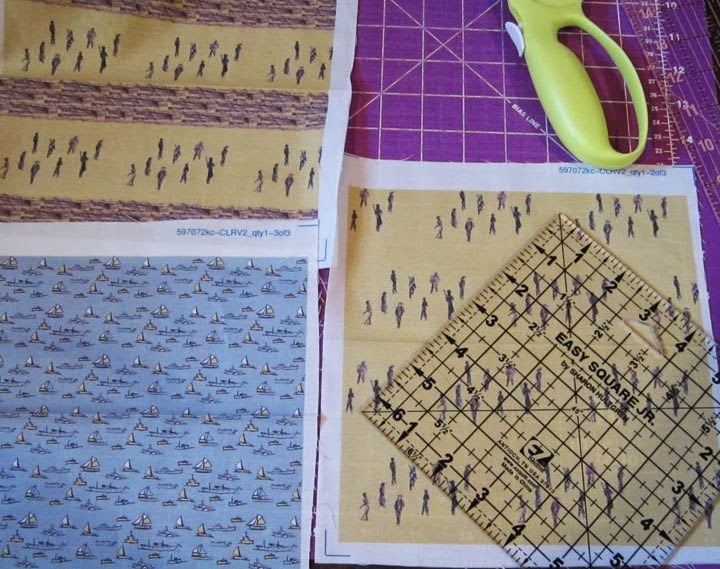 I made three fabrics, boats, soldiers and soldier with stripes; and ordered up the 8 inch samples. It is a bit hard to explain them, so maybe I won't. Well, quickly, it's about Dunkirk, and the evacuation, and the soldiers on the beach and the armada of little ships, and I want to put it together as ocean waves. 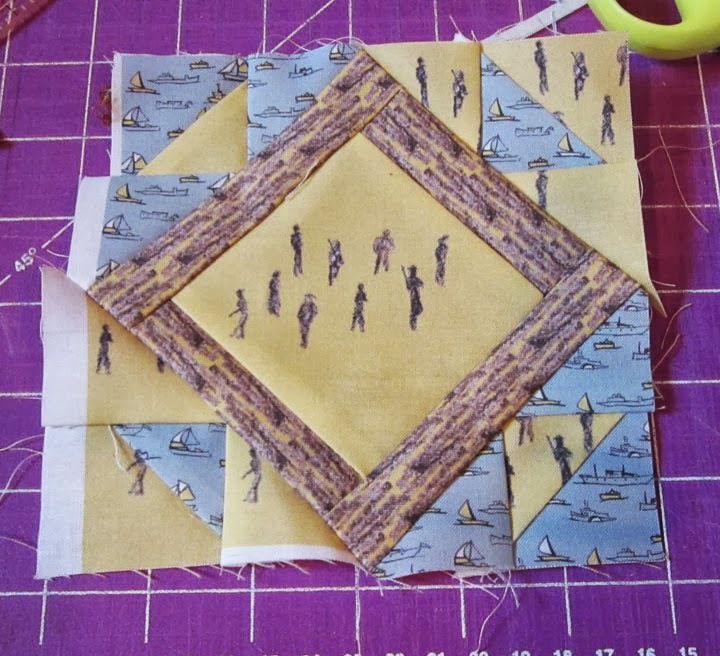 And I put together one block with my sample, but I've run out of soldiers. and here is that. I may have messed up the seam allowances on the center square, but, anyway. And anyway, they are too large, and I find I loath the far left guy. So I will be cutting my army of nine down to eight and shrink them. This will no doubt call for another round of samples... but I have some other ideas. At least, I love the little ships. They are extremely and perfectly tiny. And if you want to buy them for yourself, I opened them up for public purchase (no pressure!). The soldiers, not so much.